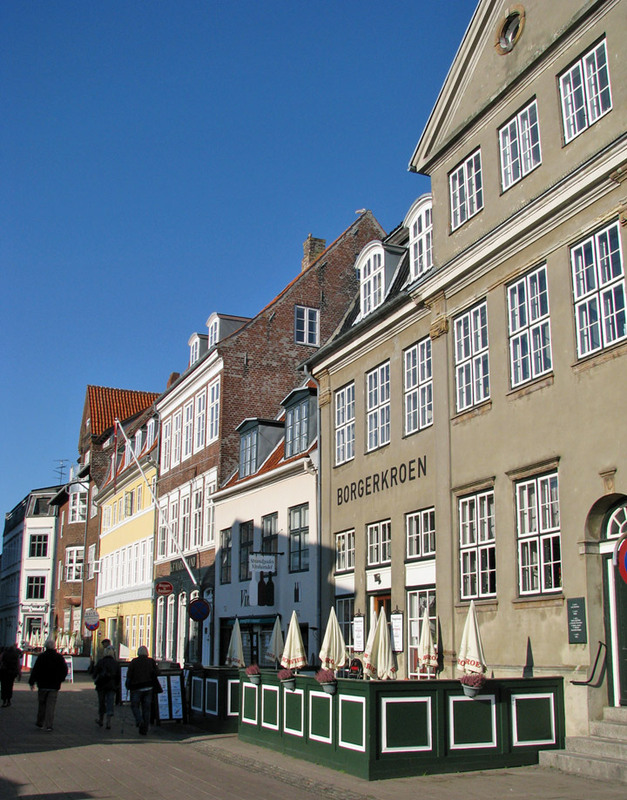 Helsingør in Danish; in English also known by the name Elsinore) is a city in Helsingør municipality on the northeast coast of the island of Zealand (Sjælland) in eastern Denmark. 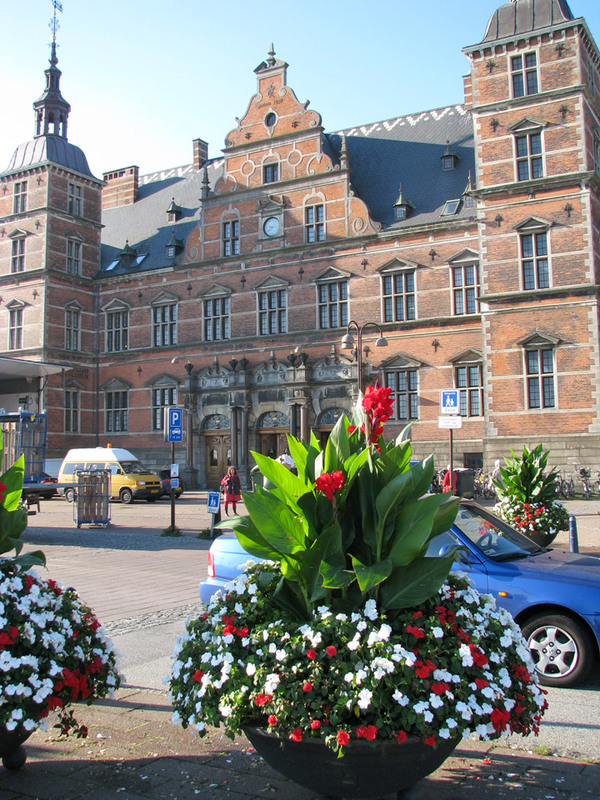 It is known internationally as the setting of William Shakespeare's Hamlet, whence the spelling 'Elsinore' originated. 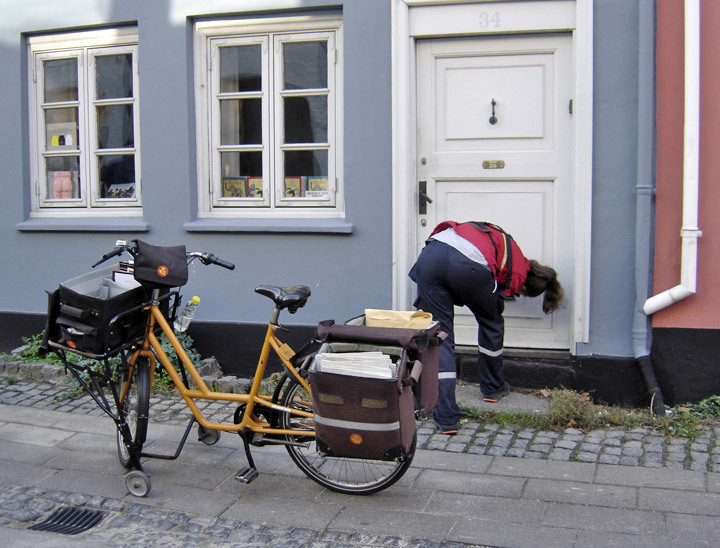 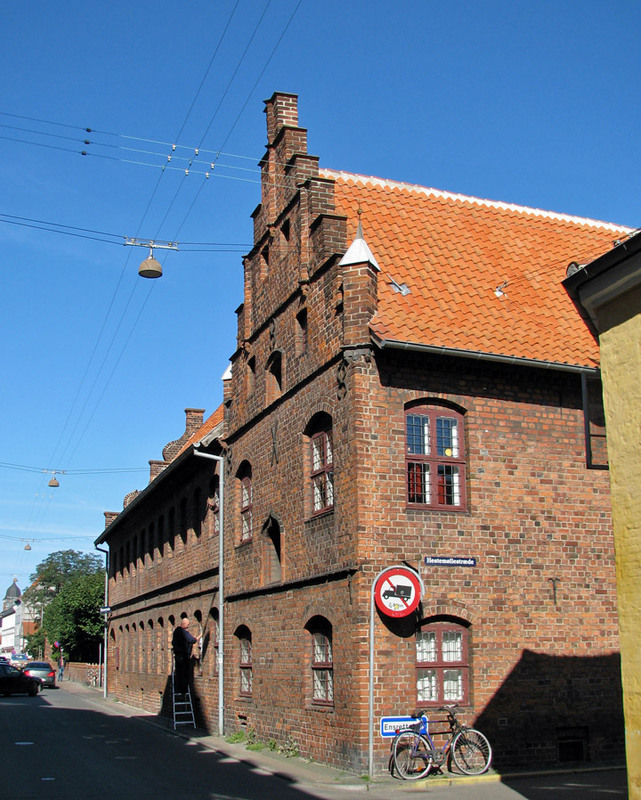 The name is derived from *Hals meaning "neck" and thus here also "narrow strait", i.e. 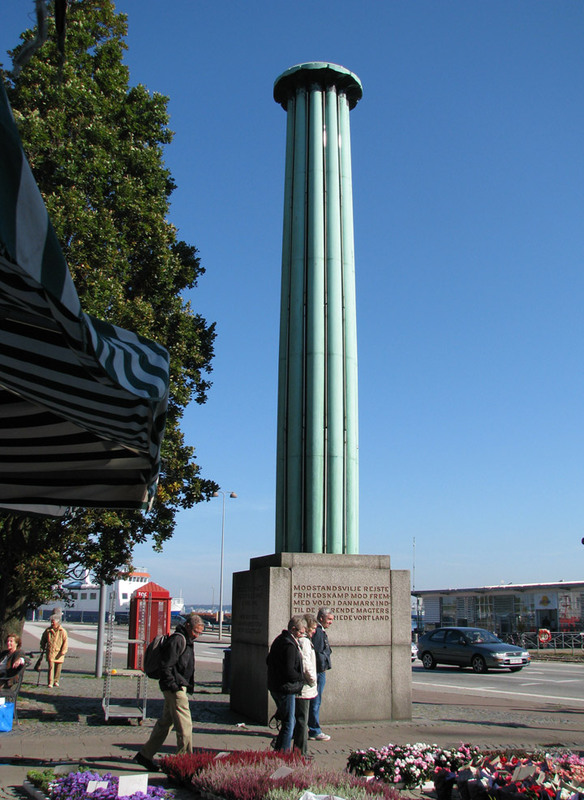 the narrow strait (Øresund) between what is now Helsingør and Helsingborg. 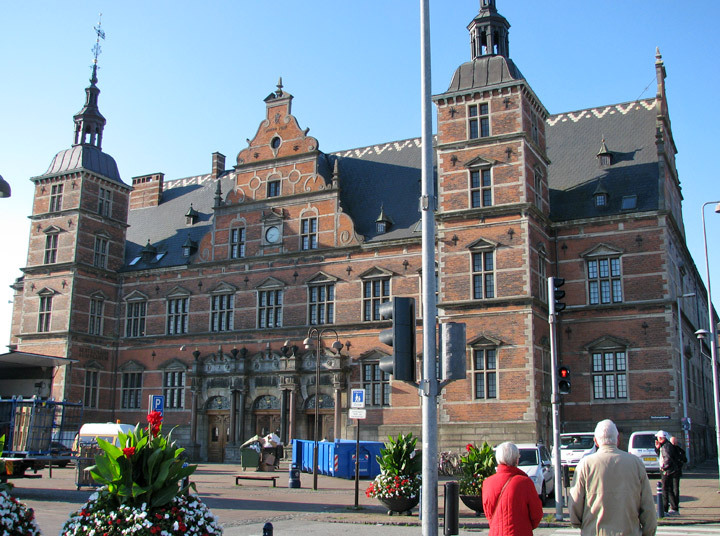 The Rerum Danicarum Historica (1631) claims that the history of Helsingør can be traced back to 70 BC, but this information is highly dubious. 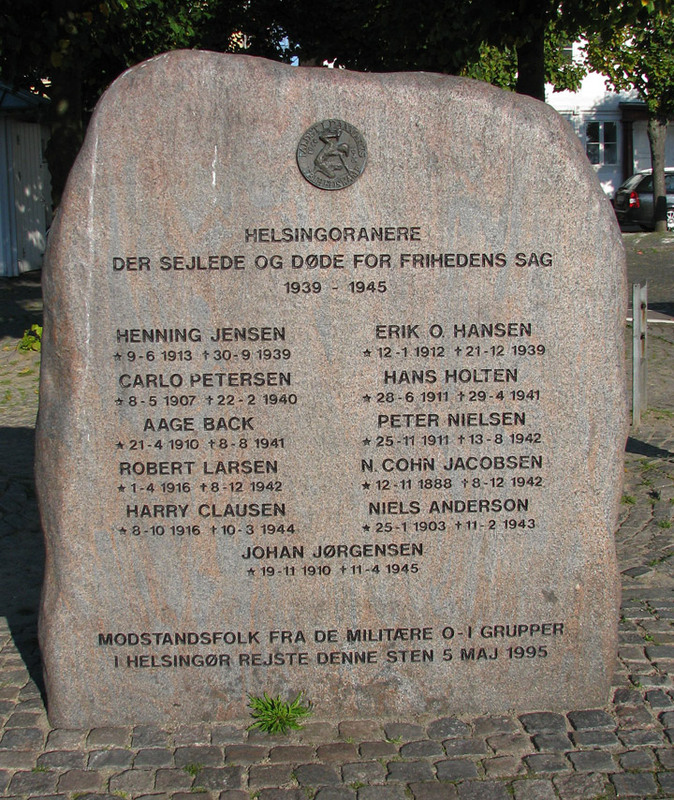 The people were mentioned, as Helsinger (which may mean "the people of the strait"), for the first time in King Valdemar the Victorious's book from 1231 (but they should not be confused with the Helsings of Hälsingland in Sweden). 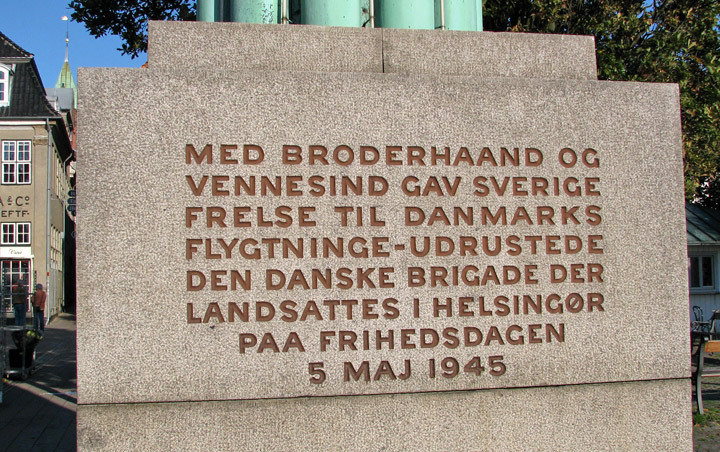 These two placenames show that the Helsinger may have had their main fort at Helsingborg and a fortified landing place at Helsingør, to control the ferry route across the strait. 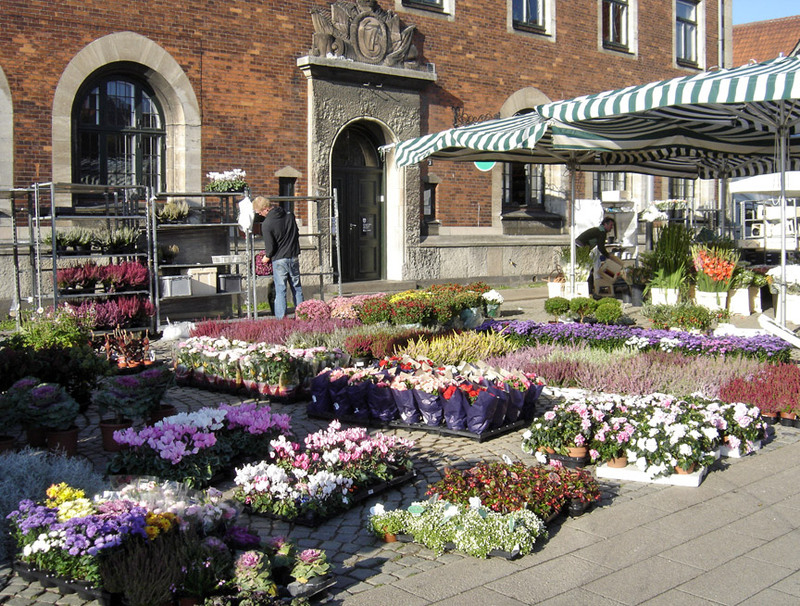 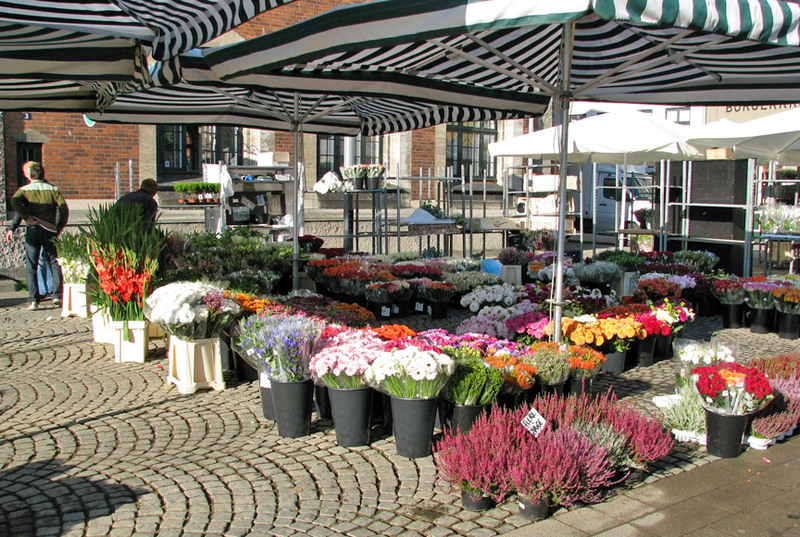 Before the Middle Ages Helsingør was just a marketplace where people sold goods. 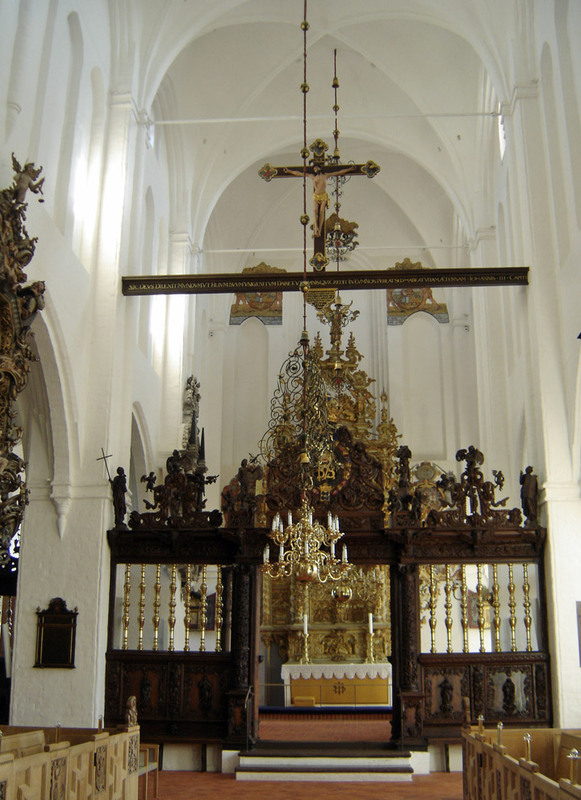 About 1200 AD the first church, Sct Olai Church, was built. 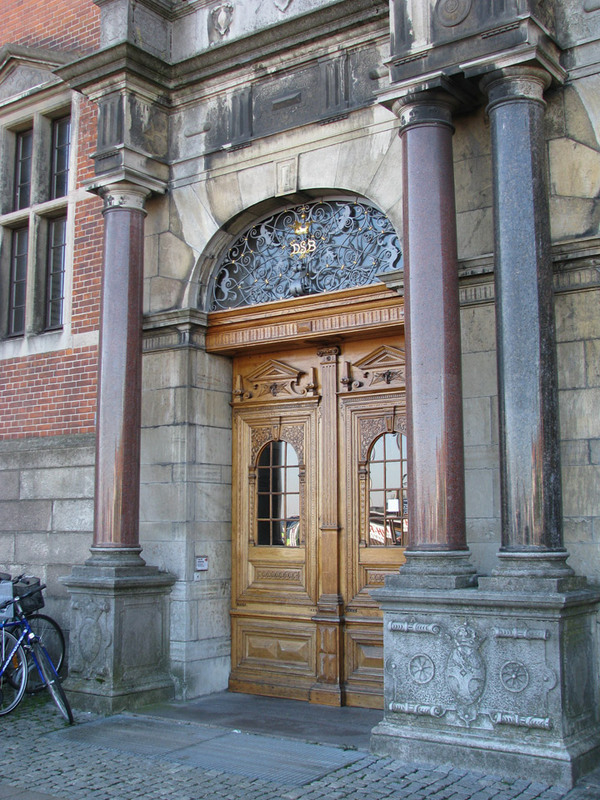 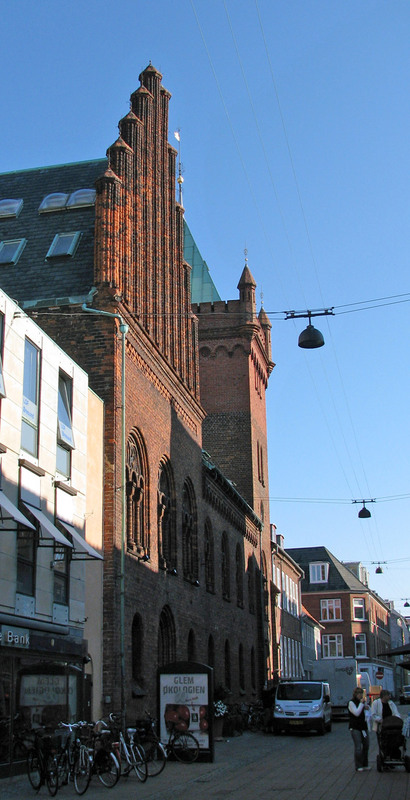 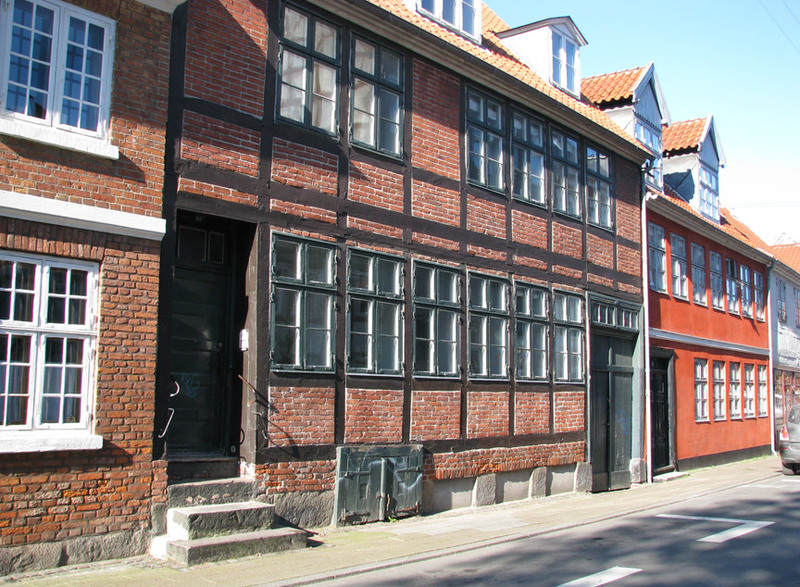 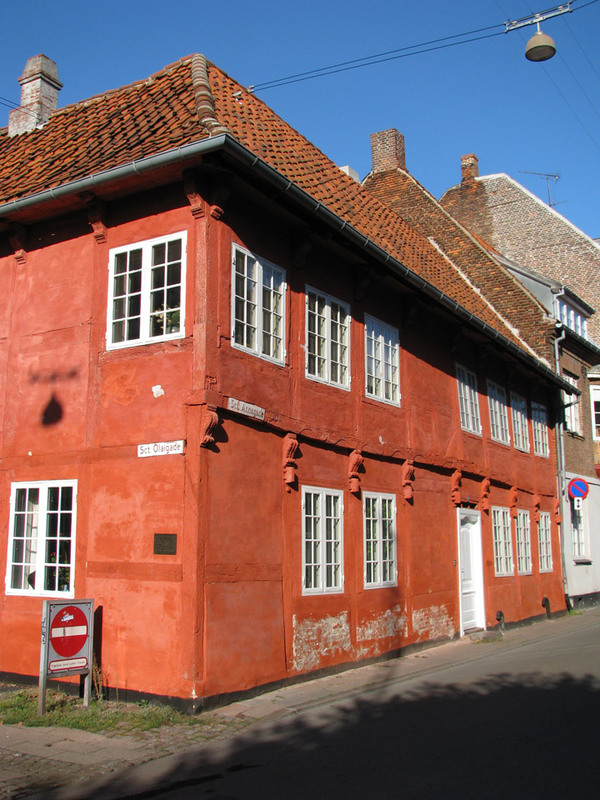 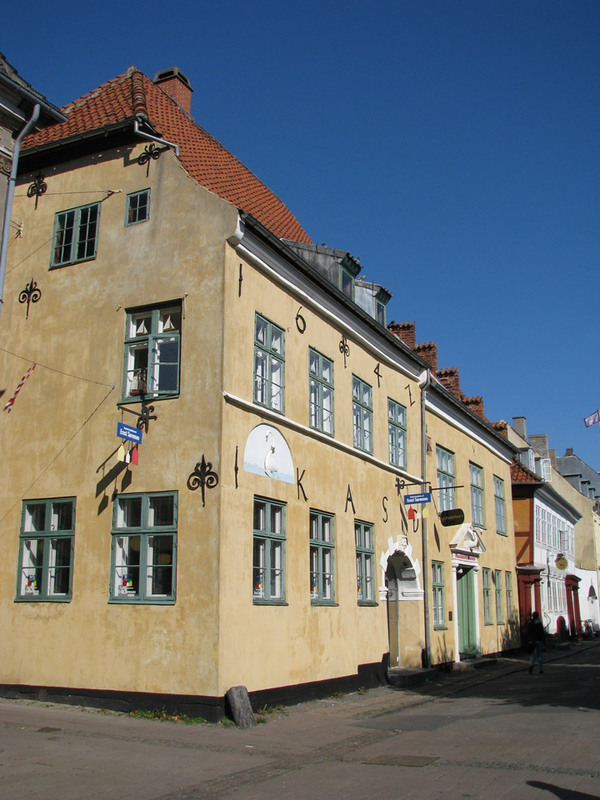 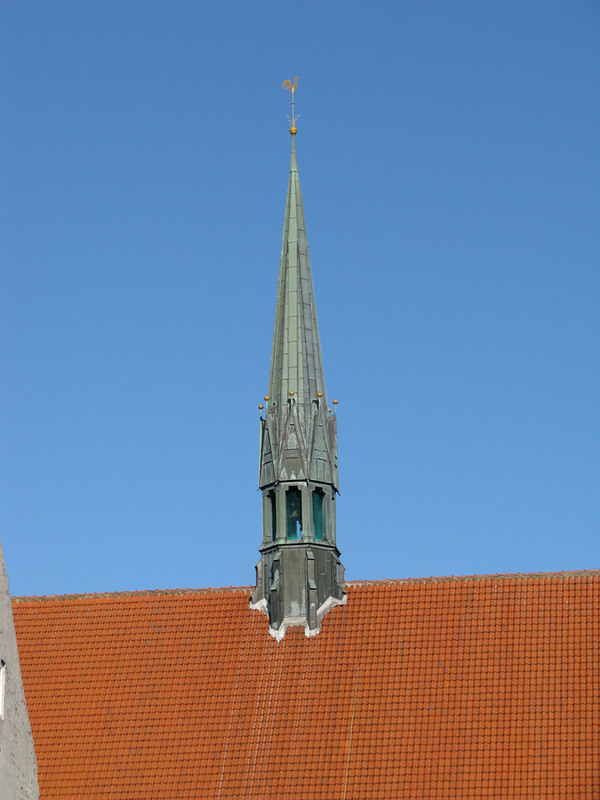 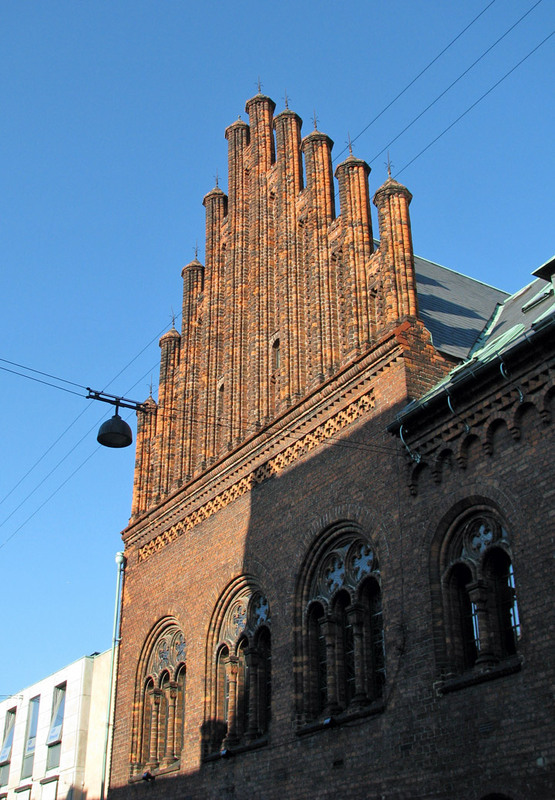 A number of convents once surrounded the church, but now all that remains is the church building, today the cathedral of the Diocese of Helsingør. 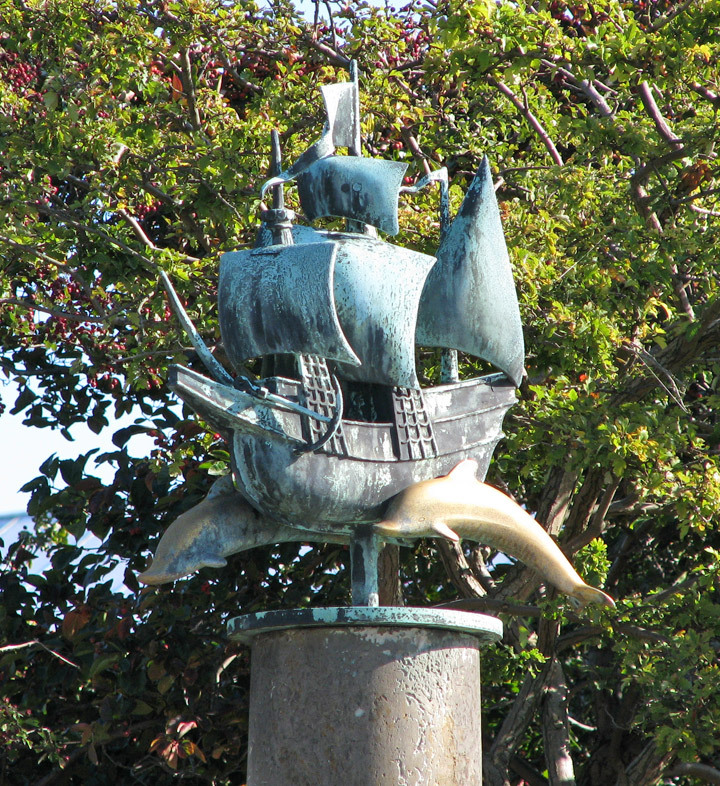 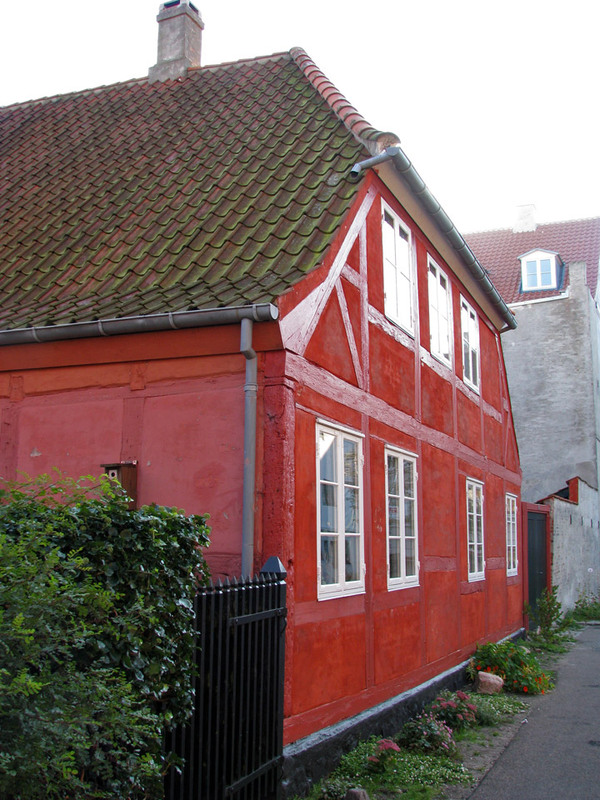 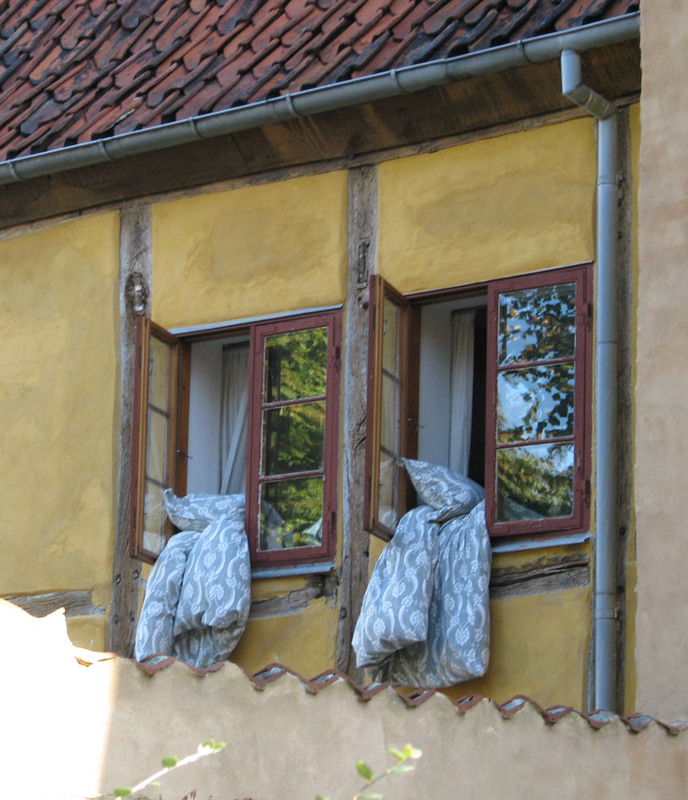 Helsingør as we know it today was founded in the 1420s by the Danish king Eric of Pomerania. 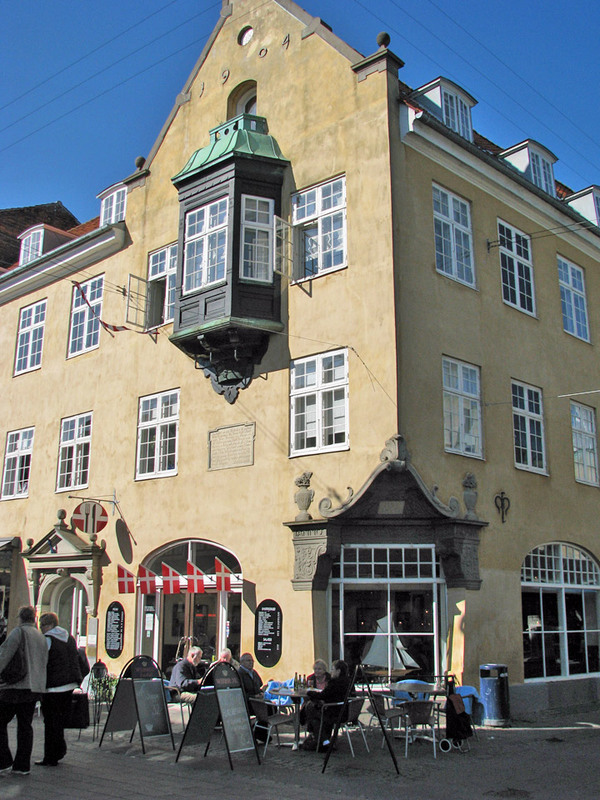 He established the Sound Dues in 1429 and built the castle 'Krogen', which was made bigger in the 1580s and named Kronborg. 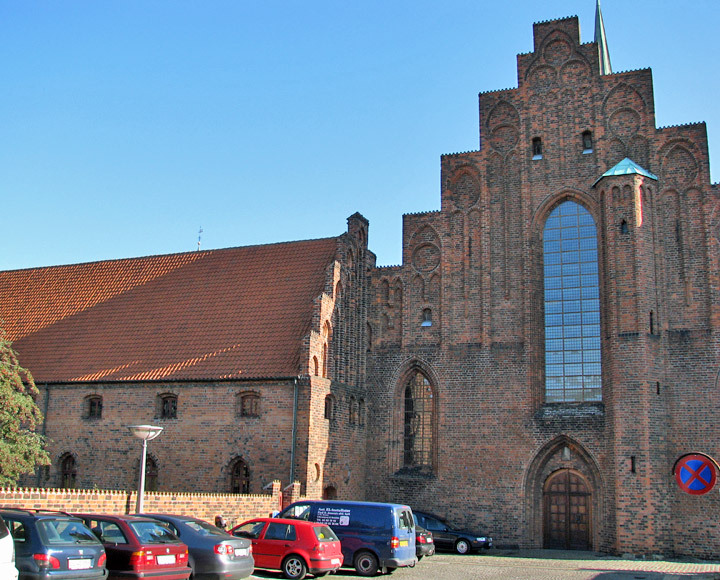 The oldest parts of the cathedral of Helsingør date back to the 1200s and tell us that the fishermen's village, as Helsingør was then, was a town of a certain importance. 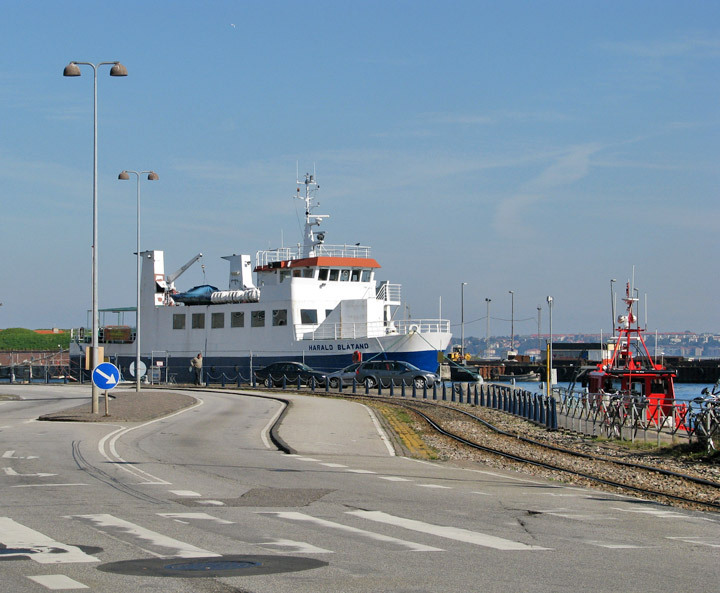 At least, there have always been some form of ferryboats crossing between Helsingør and Helsingborg. 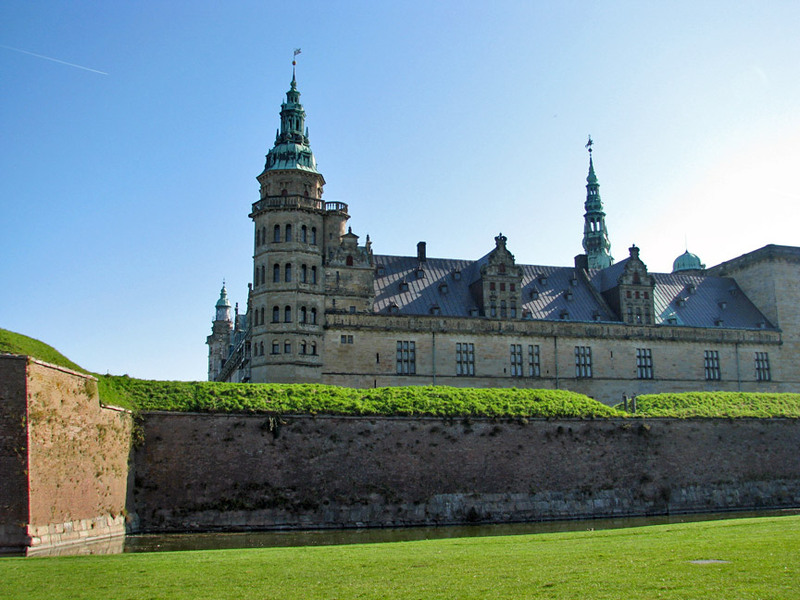 Kronborg Castle is a main tourist attraction. 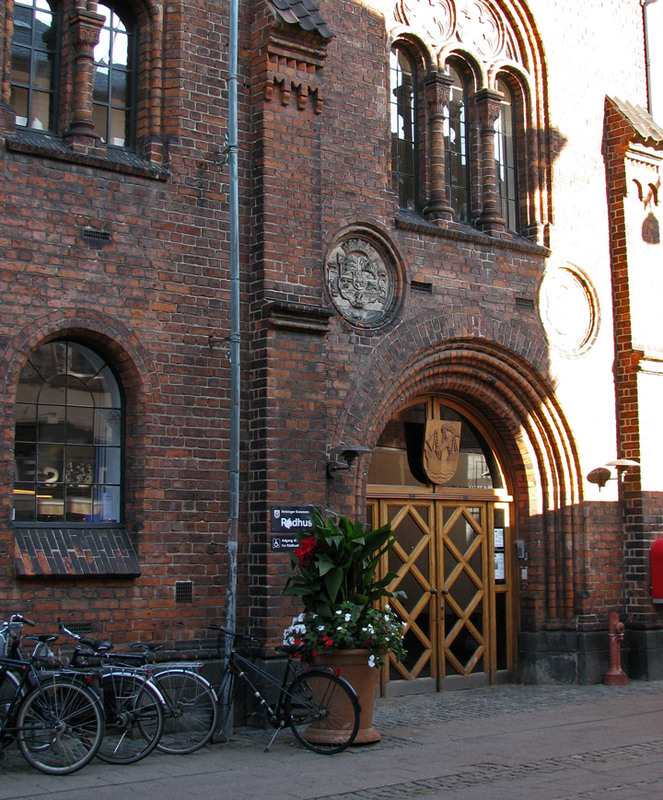 Hamlet has been performed a number of times in its courtyard. 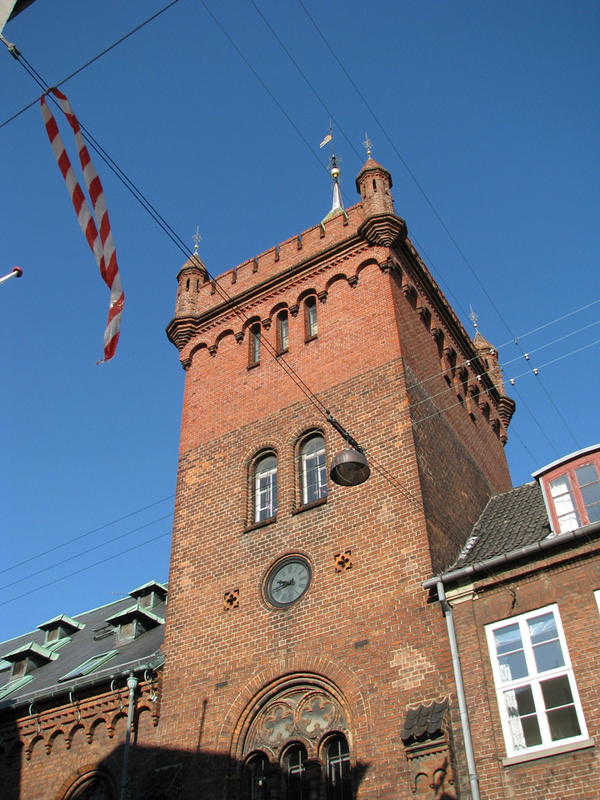 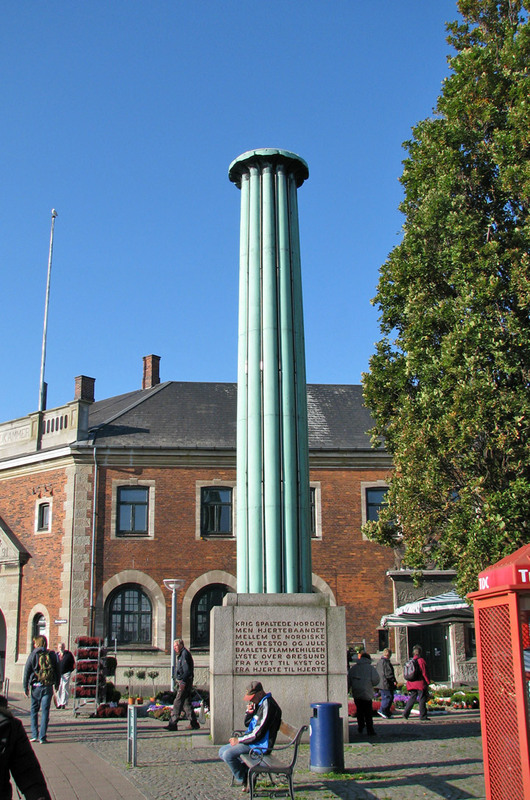 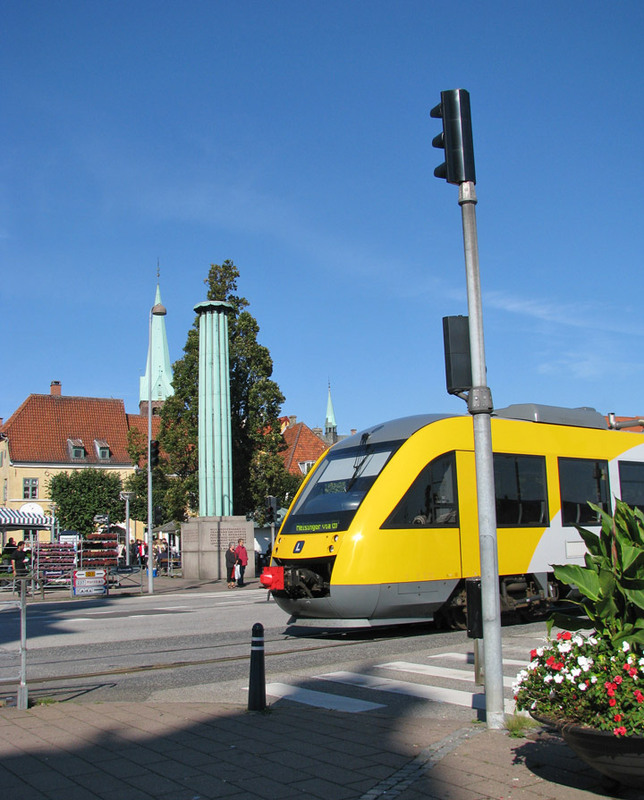 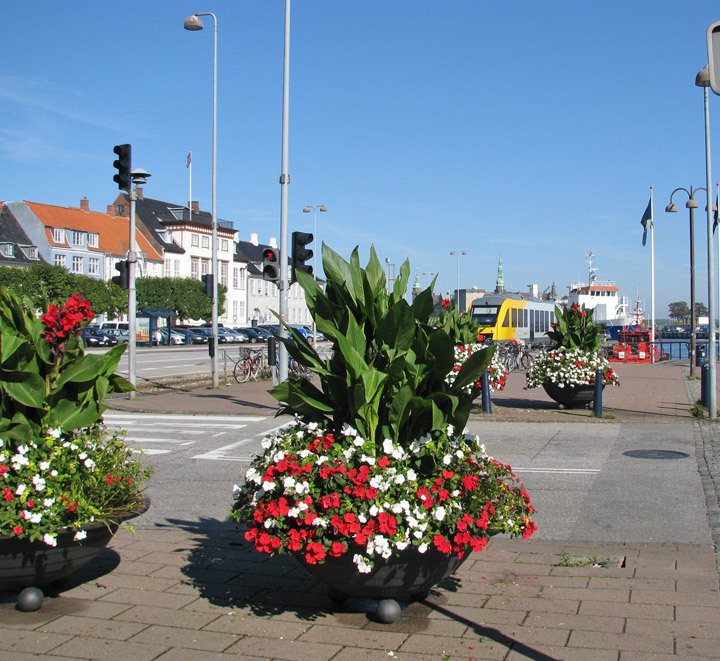 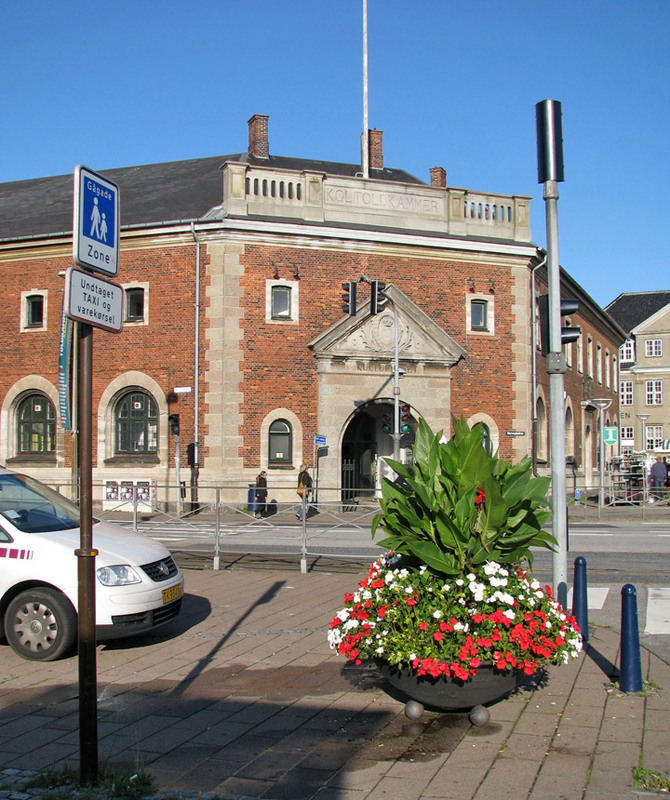 The Swedish city of Helsingborg lies a short distance across the Øresund from Elsinore. 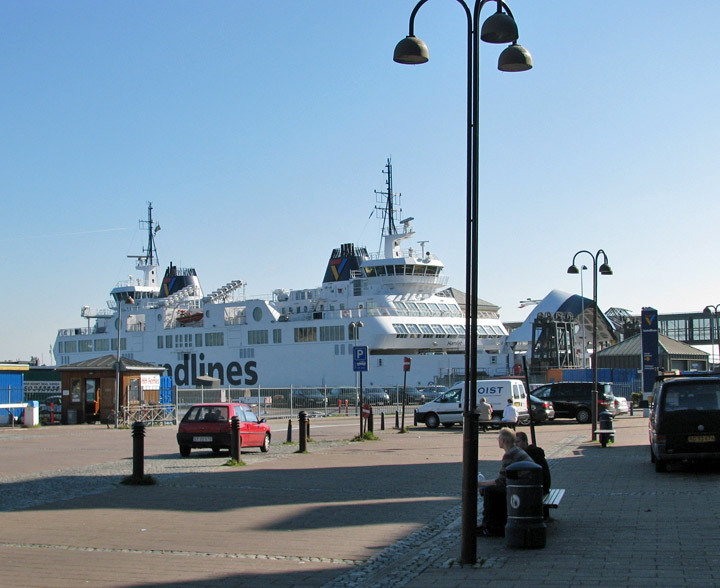 European route E55 traverses the two cities; ferries connect the two ends.